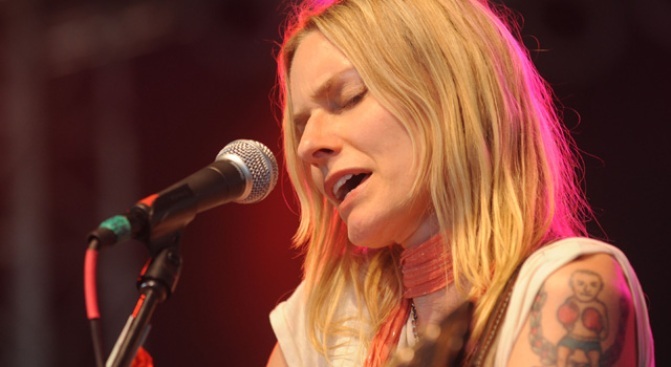 Aimee Mann is at City Winery tonight. YES OUI CAN-CAN: Join the Committee of French-Speaking Societies at their 85th Annual Official Bastille Day Ball, first because the roaring twenties theme includes live big-band from George Gee and his Jump Jivin’ Wailers, and second because this event has been going on for 84 years. Respect, people! 7PM. CLASSIC: Long before John Travolta pierced his ears to hijack a train and Denzel Washington donned kooky red glasses to stop him, 'The Taking of Pelham One Two Three' was a taut, topical thriller about four armed men terrorizing subway passengers in 1974, when the NYC subway was a very different beast. Walter Matthau, Jerry Stiller and Hector Elizondo are three more reasons to see this original, screening at the River to River Festival’s Movie Nights on the Elevated Acre (south of the Seaport), 8PM. ONE: Aimee Mann’s career is a rallying cry for earnest, basement singer-songwriters everywhere. Even the most painful lyrics, when delivered in her plainspoken way, make things sound like they couldn’t be all that bad. She’ll perform tunes spanning her career, with a couple of surprises along the way, at City Winery, 8PM.